Editor&apos;s Note: Unfortunately, the Red Horse Livery went out of business shortly after this article was posted. The little town of Coatesville, Ind. in western Hendricks County wasn&apos;t anything more to me than a wide spot in Ind. 75 until last year when I visited to eat at Cinnamon Girls Bakery & Cafe and then returned to research a blog post on the Cruisin&apos; in Coatesville event. 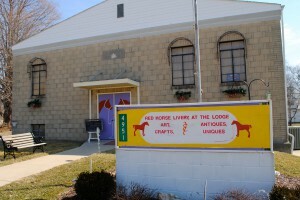 One of the places in town that I noticed when I was at Cruisin&apos; in Coatesville was the Red Horse Livery, located at 4951 Milton St. 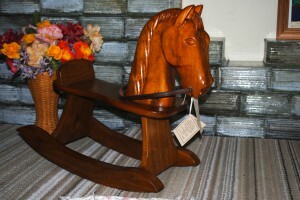 It initially caught my attention because my sister is a horse person and an agent for County Saddlery, and upon closer inspection of Red Horse Livery&apos;s sign, I saw that they offer arts, crafts, antiques and uniques. As it turns out, they&apos;re also a new addition to the Rural Routes to Main Street Cultural Trail. I wanted to learn more, so I stopped in recently and spoke with shop owner Nikki Valorani. Like my sister, Nikki is a horse person -- thus, the name of Red Horse Livery. Blessed with artistic talent, Nikki and her family started setting up tents on their rural property about four years ago to display the artwork of her and her son, as well as that of a few other local artists. 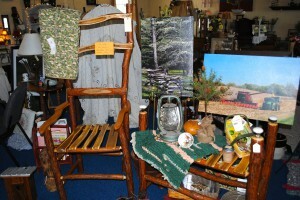 The annual event was a big success and friends told Nikki she should open a shop. So when the old Masonic Lodge in Coatesville became available, she jumped at the opportunity. 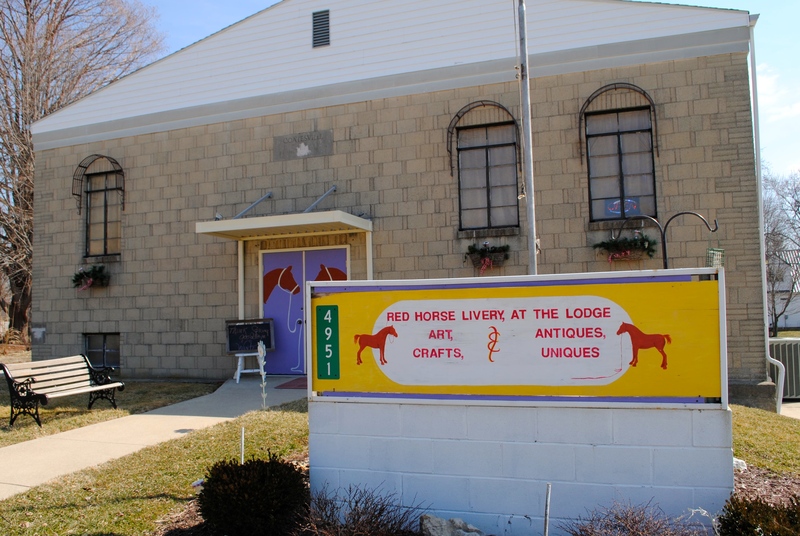 The Red Horse Livery has now been open in the former Masonic Lodge -- built in 1950 after a tornado flattened most of Coatesville in 1948 -- for a little over a year. Inside, visitors will find all sorts of artwork and crafts, along with some antiques and vintage items, for sale. The vast majority of the arts and crafts have been created by hand by local people. 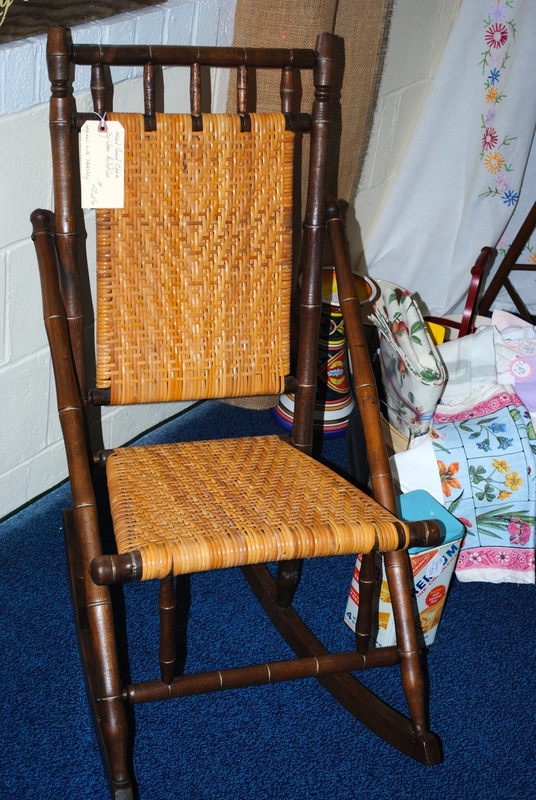 There&apos;s a big sassafras chair that was built by a local man who simply goes out into the woods with a hatchet, comes back with the wood he needs, and then constructs chairs by hand. There are hand-crafted bird houses constructed by a local man in painstaking detail. A local woman creates unique rugs out of old bedsheets, turning them into terrific splashes of color for a room. Another local woman creates jewelry. Another makes greeting cards. Jill Nichols, owner of Cinnamon Girls Bakery & Cafe, even makes candy that is sold at the Red Horse Livery. Nikki paints furniture. Her son creates amazing paintings(you should see his five-part underwater series that is on display there) as well as pencil drawings, photography and other artwork. And there is much, much more. 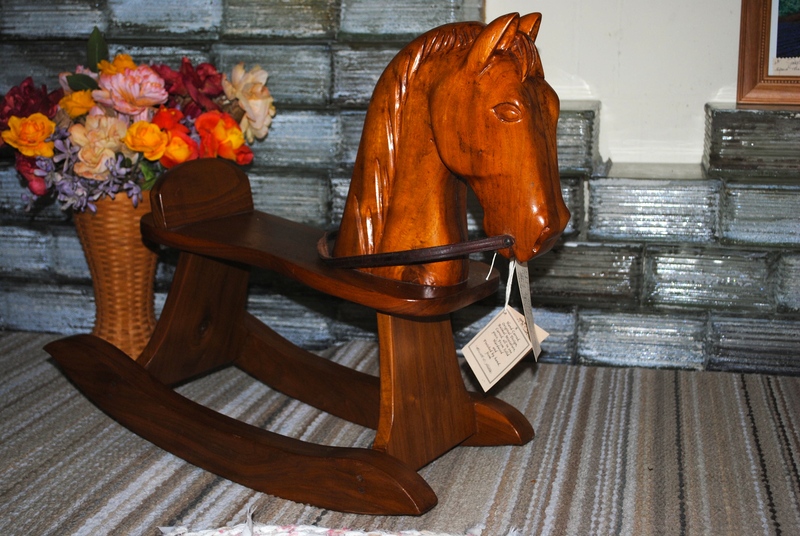 Downstairs, the Red Horse Livery provides studios for local artists and offers regular classes for those interested in learning how to make stained glass, paint pictures and create a variety of other art. What floored me about the Red Horse Livery is the quantity of talented artists and craftsmen right in this area. I had no idea! Even Nikki was a bit surprised when she opened the shop in the fall of 2012 and almost immediately filled the place up with local art. I really like the relaxed atmosphere, too. Nikki is very friendly and welcoming, and she seemed to enjoy showing me around the place. We sat and chatted about all sorts of things, joined midway by Nichols, who stopped in to say hi to Nikki. It was the perfect small-town interaction that I enjoy so much. It&apos;s worth the drive to Coatesville to check out the Red Horse Livery and all that they have to offer. You won&apos;t be disappointed. Open 10 a.m.-5 p.m., Tuesday-Thursday, noon-8 p.m., Friday and 10 a.m.-5 p.m. Saturday.